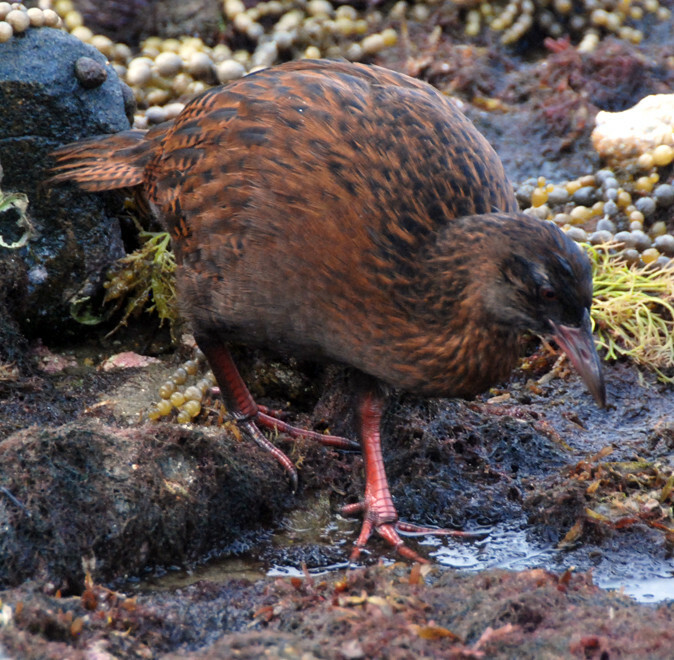 Stewart Island Weka (Gallirallus australis scotti) in its chestnut phase on Ulva Island, Stewart Island. 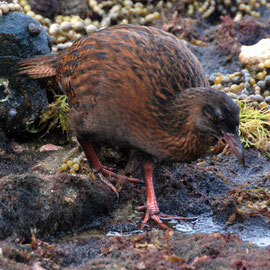 The weka (Gallirallus australis scotti) is an iconic New Zealand bird and cute and curious. 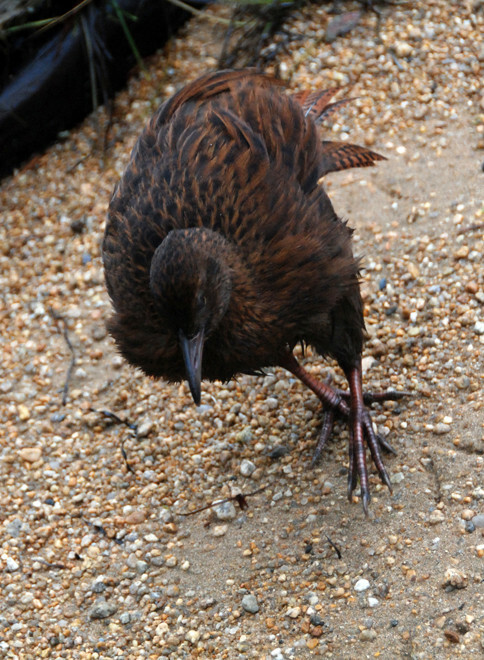 It's habit gives the impression of being slightly off-hand with humans. 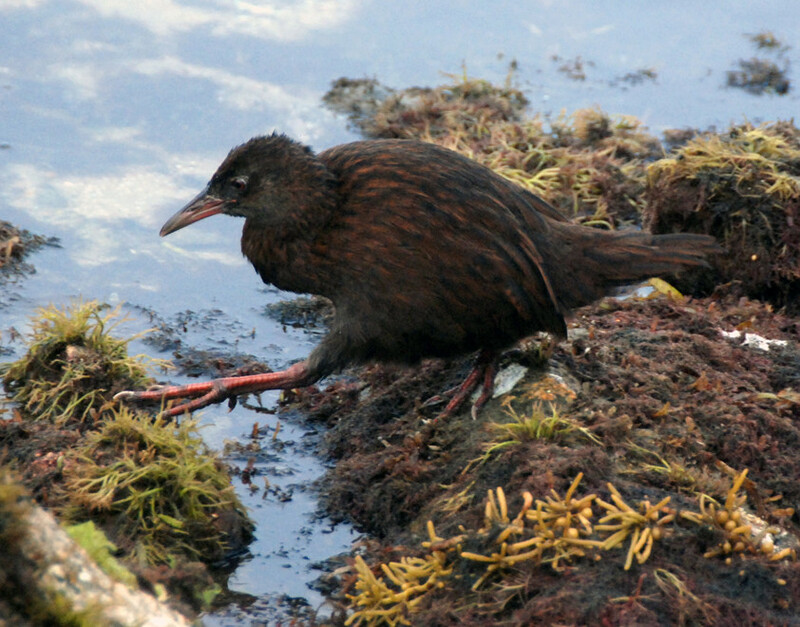 It is curious of their doings but acts as if it is unaware of their presence until a sudden movement gets them moving away only to come back. 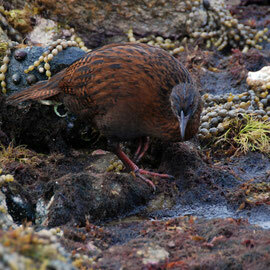 We met them in both the forest of Ulva Island and on the foreshore. 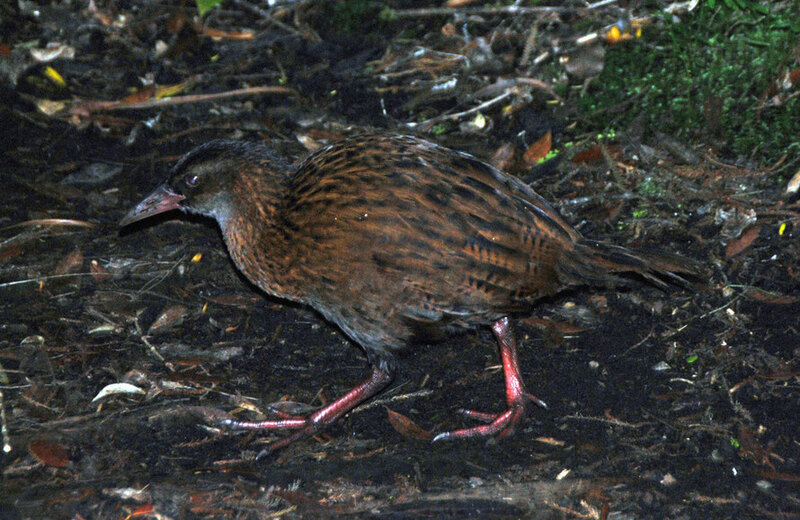 The weka is a flightless rail and three times the size of its nearest relative. 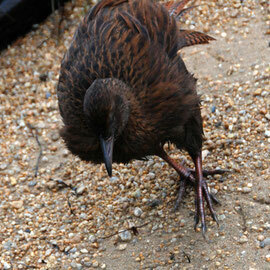 Like many birds in New Zealand as they became flightless they became larger (and slower breeders). Weka are vulnerable to ground predators - particularly ferrets, dogs, stoats - and are absent from large parts of New Zealand. 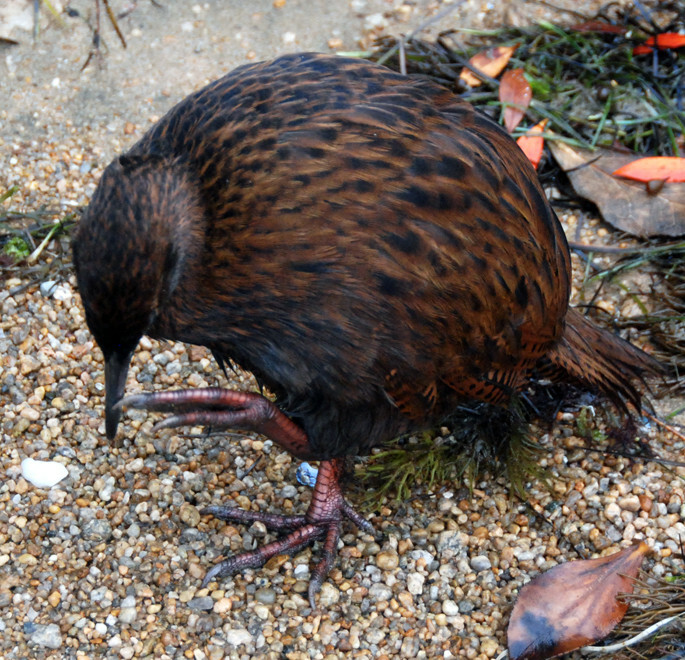 The male weka weighs up to 1kg and they were eaten by Maori and settlers as 'woodhen'. 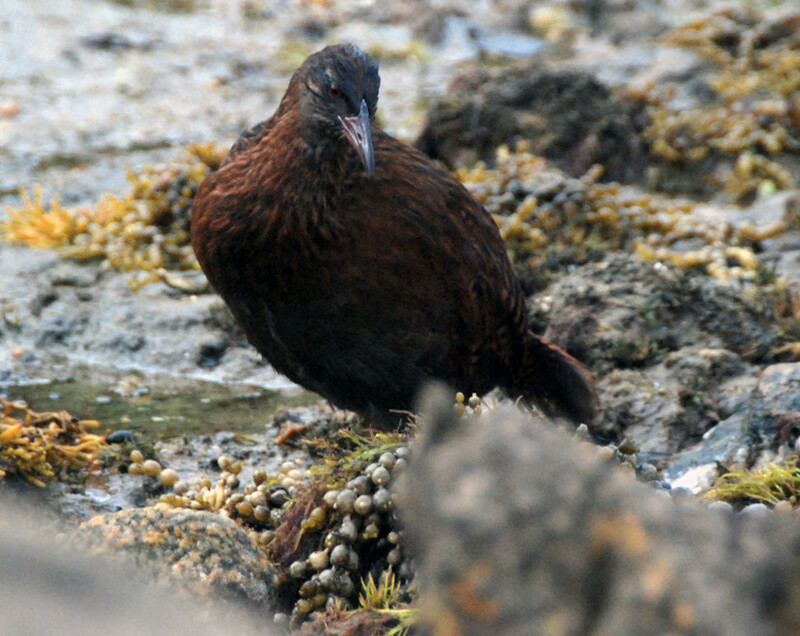 They themselves predate vulnerable ground nesting birds and have been moved off some islands to protect breeding Cook's and South Georgian diving petrels. 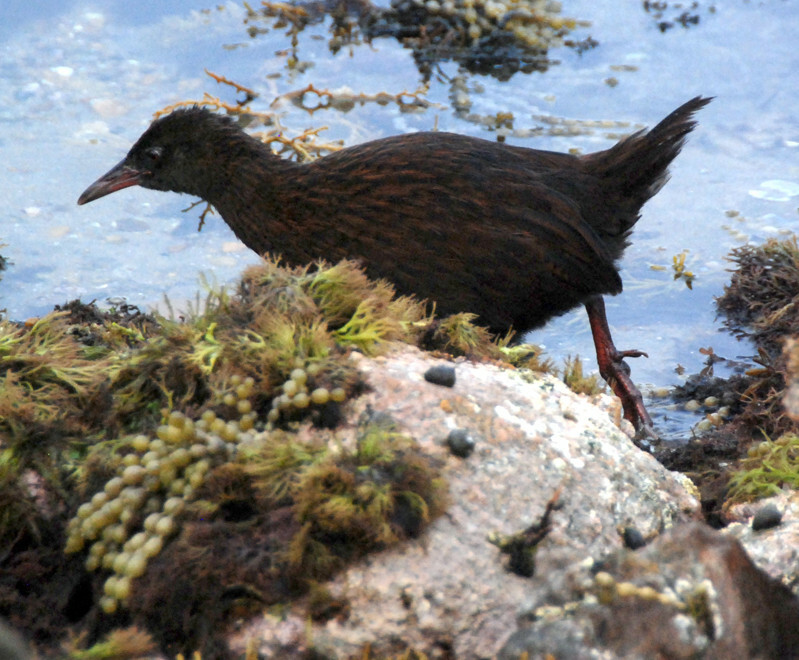 Some harvesting of weka is still permitted on the muttonbird (Sooty Sheerwater) islands of the Foveaux Strait (see my page here on muttonbirding). 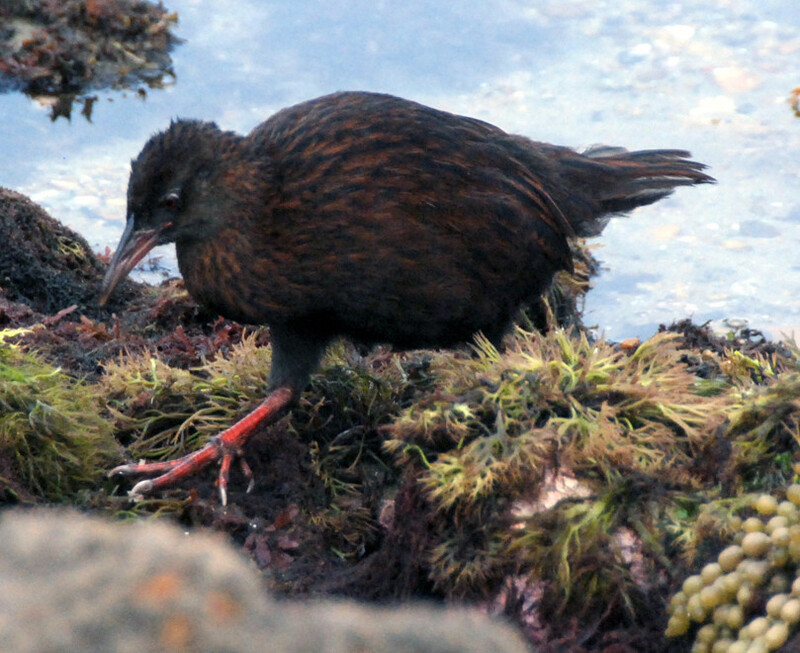 Stewart Island Weka (Gallirallus australis scotti) foraging in the intertidal zone at Boulder Beach, Ulva Island, Stewart Island. 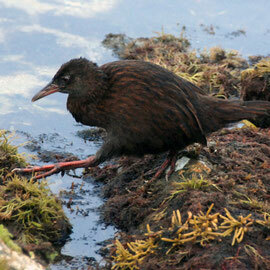 Hunted as bush hens and vulerable to introduced mammal predators the weka is classed as a vulnerable speices. 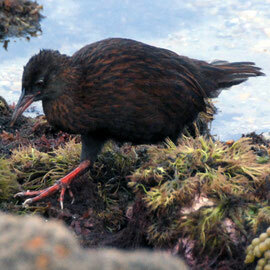 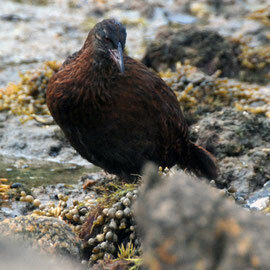 This is the Stewart Island Weka on Ulva Island. 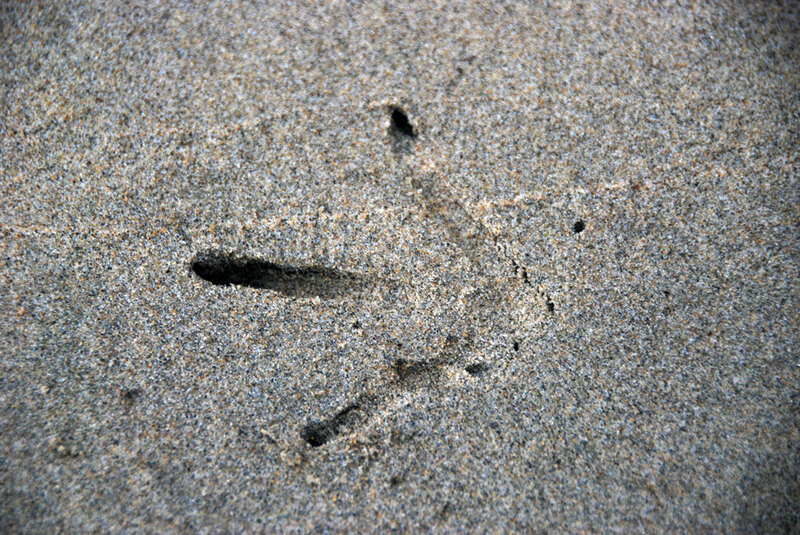 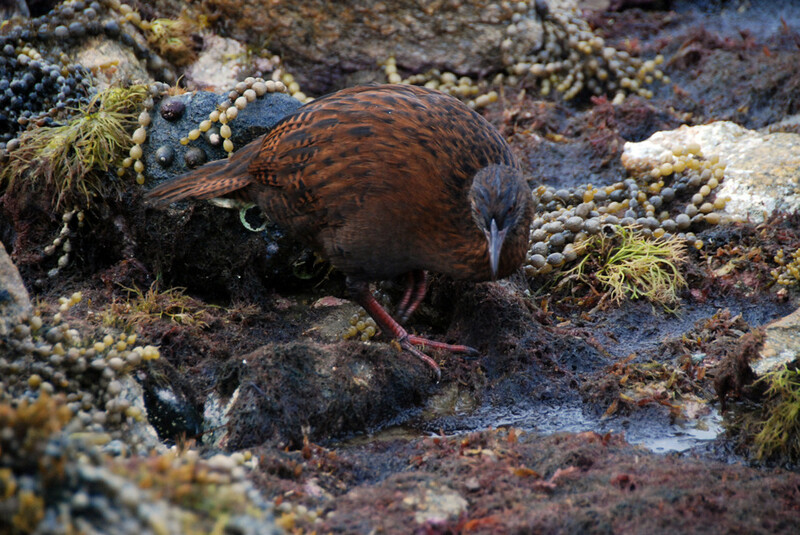 Surprisingly fleet of foot when they need to be the superbly camouflaged Weka can disappear in a trice back into the bush (Footprint, Post Office Beach, Ulva, Stewart Island).